A number of states have enacted their own false claims acts that address state fraud. In Florida, there is the Florida False Claims Act, which was modeled after the federal version and offers some of the same protections to the local state government. False claims include actions such as healthcare fraud and procurement fraud. The Florida False Claims Act, or the “Florida FCA”, was enacted in 1994, and its liability and damage provisions are almost identical to those found in the Federal False Claims Act. Where the state act differs is that it doesn’t prohibit any actions based on false tax returns, and it allows for the use of an “innocent mistake” as an affirmative defense. Knowingly using, making, or causing to be made false statements or records that are material elements in a fraudulent or false claim. Knowingly presenting, or causing to be presented, a fraudulent or false claim for approval or payment. Purposely concealing or intentionally avoided or decreasing an obligation to transmit or pay money or property to the state of Florida. Knowingly using, making, or causing to be made false statements or records that are integral to an obligation to transmit or pay money or property to the state of Florida. You can also be penalized if you are found to have conspired to commit any of the above acts. 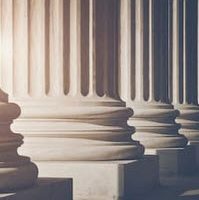 The Florida FCA has established a penalty that is equivalent to three times the amount of damages the state sustained because of the illegal conduct. There is also a statutory fine imposed per violation that can range from $5,500 to $11,000. The Florida FCA allows for a private person to bring an action, although it bars any brought by employees of the government. This includes attorneys for the state and any former or current employees who learned of this information during their time of employment, or a relator who received the material evidence from a government employee. For state claims, the statute of limitations is the same length of time as the federal, which allows you to bring an action no later than six years after the alleged violation happened, and no longer than three years after the material facts were known, or should have been known, provided it is not longer than 10 years after the violation. Another similarity between the state and federal act is the burden of proof required — preponderance of the evidence. If you believe you have a valid whistleblower claim under the federal False Claims Act or the Florida FCA, you need to contact a skilled Florida whistleblower attorney. Whistleblower claims are very complex, and it’s imperative to seek advice from an attorney who has extensive experience with how whistleblower claims work. If you do not follow the correct procedures regarding whistleblower claims, you could lose your opportunity for a reward and the protections offered under the False Claims Act. Contact the team at McCabe Rabin, P.A. at 561-659-7878 to schedule a consultation today.